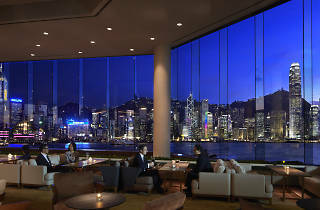 Five-star InterContinental Hong Kong Hotel enjoys a waterfront location. 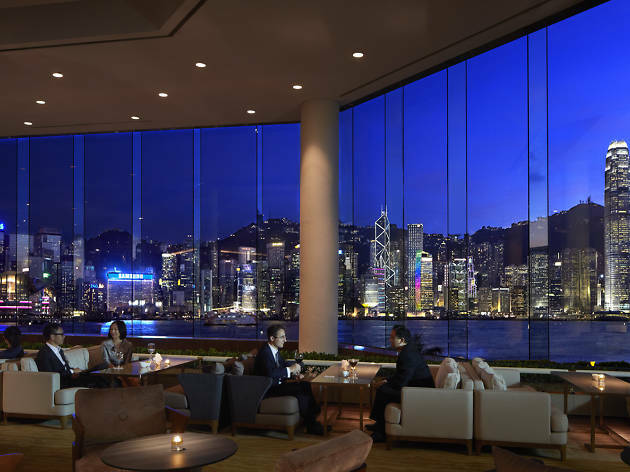 It features a spa, a large infinity pool which overlooks Victoria Harbour and 2 celebrity restaurants which offer 24-hour in-room dining. Rooms are elegantly decorated and feature floor-to-ceiling windows. They are equipped with a 37-inch flat-screen TV, Bose DVD/CD home entertainment system and iPod docking stations. The room is equipped with Handy smartphone which provides unlimited local calls and international calls for 8 counties, and unlimited 3G mobile internet access. Guests can enjoy Hong Kong’s skyline from the 3 infinity spa pools. The InterContinental’s I-Spa offers a hot tub, sauna and massage services, while the 24-hour fitness centre offers free yoga and tai chi classes. Michelin Star Yan Toh Heen Restaurant serves Cantonese specialities, while the 4 other restaurants offer French, Japanese and Asian favourites. The InterContinental Hotel also features excellent international buffets. The hotel is just a stroll from the Star Ferry Terminal and Tsim Sha Tsui MTR Station. It is next to the Hong Kong Space Museum, the Museum of Art and Hong Kong Cultural Centre.